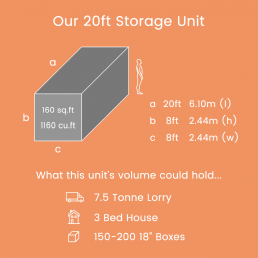 At Beyond Storage we specialise in bringing you the best self-storage solutions with brand new, premium quality shipping containers which are insulated, humidity controlled and damp proof, so your contents are always fully protected both on the outside and in. As we don’t require a warehouse, we are able to offer some of the most competitive rates on the market, and our storage facilities boast unparalleled accessibility. 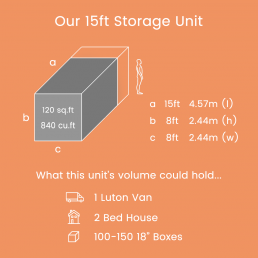 We have three different units sizes available, if you are unsure which size suits your needs best, give us a call! 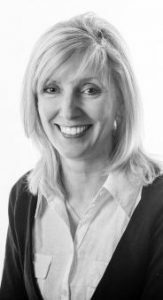 Our experienced site manager, Lindsey Adams, is always available to help with your booking and answer any queries you might have. The 80 square foot unit is suitable for the contents of a 1 bedroom house or flat. All our units are insulated, humidity controlled and damp proof, so you can be sure your belongings are protected. Still unsure on what size you will need? You can always change your mind when you arrive on site. The 120 square foot unit is suitable for the contents of a 2 bedroom house or flat. All units are monitored through 24 hour surveillance, CCTV systems and fingerprint access. Still unsure on what size you will need? You can always change your mind when you arrive on site. 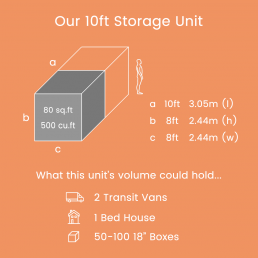 The 160 square foot unit is suitable for the contents of a 3 bedroom house or flat.Unlike warehouse storage, you are free to drive directly to your storage unit so there is no need for lifts and trolleys. Still unsure on what size you will need? You can always change your mind when you arrive on site.